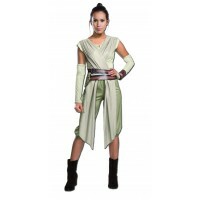 Defend the universe while looking like a total badass in the 3 PC Galaxy Rebel costume. 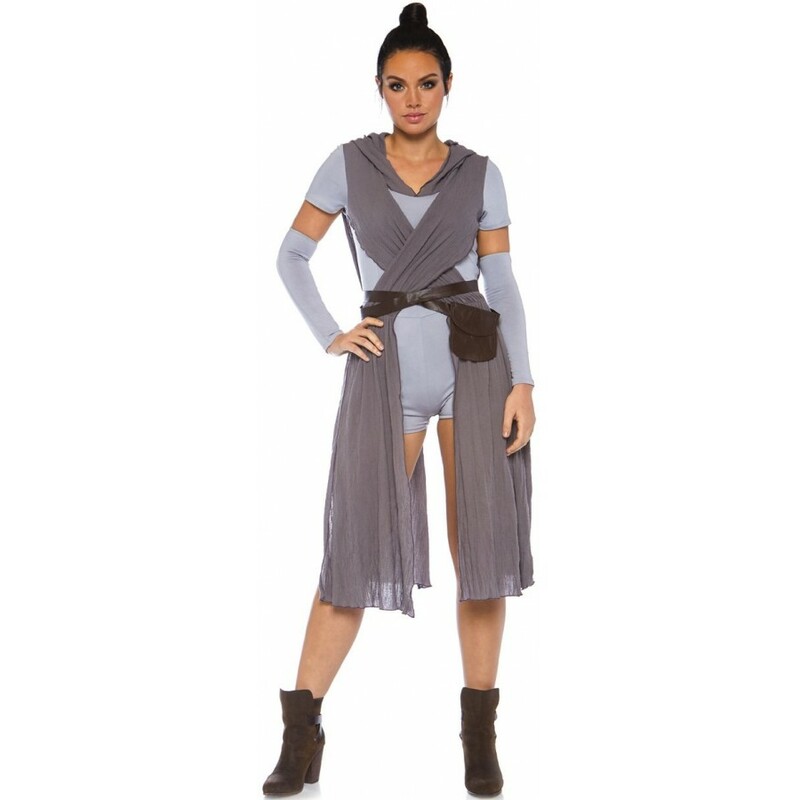 Your look includes an ultra-comfy romper with gauze cross-over sash and attached hood, matching arm pieces, and a crossover pouch belt. 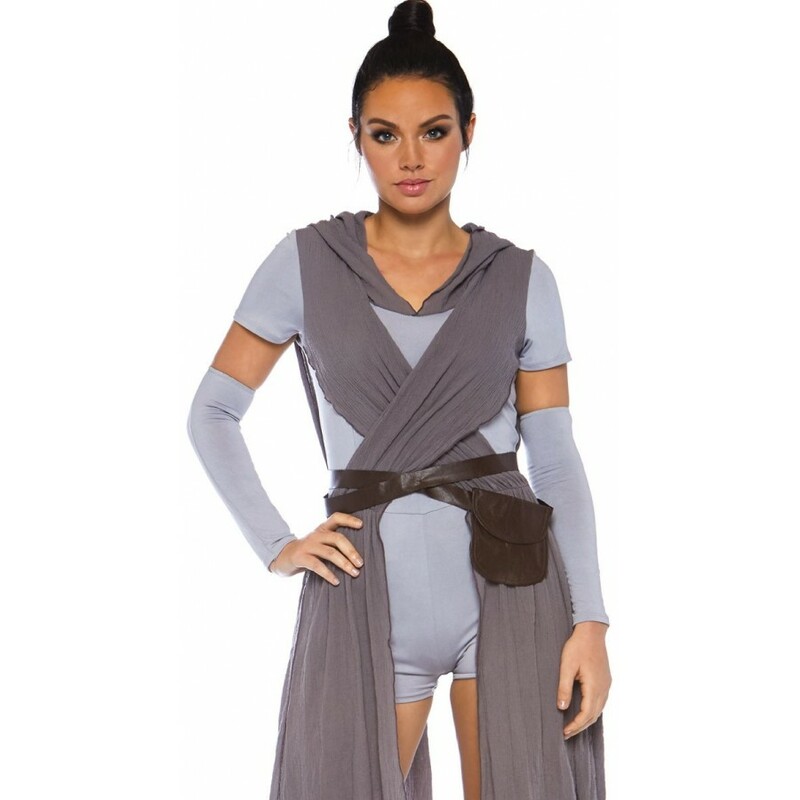 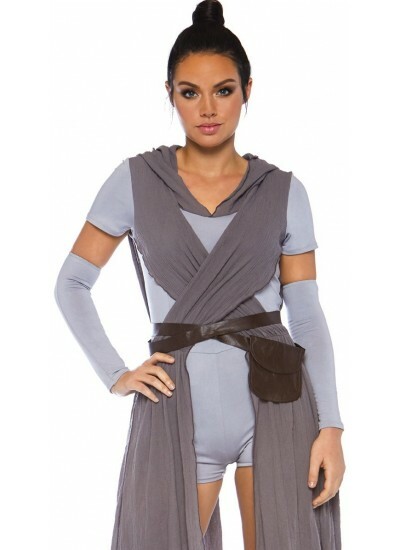 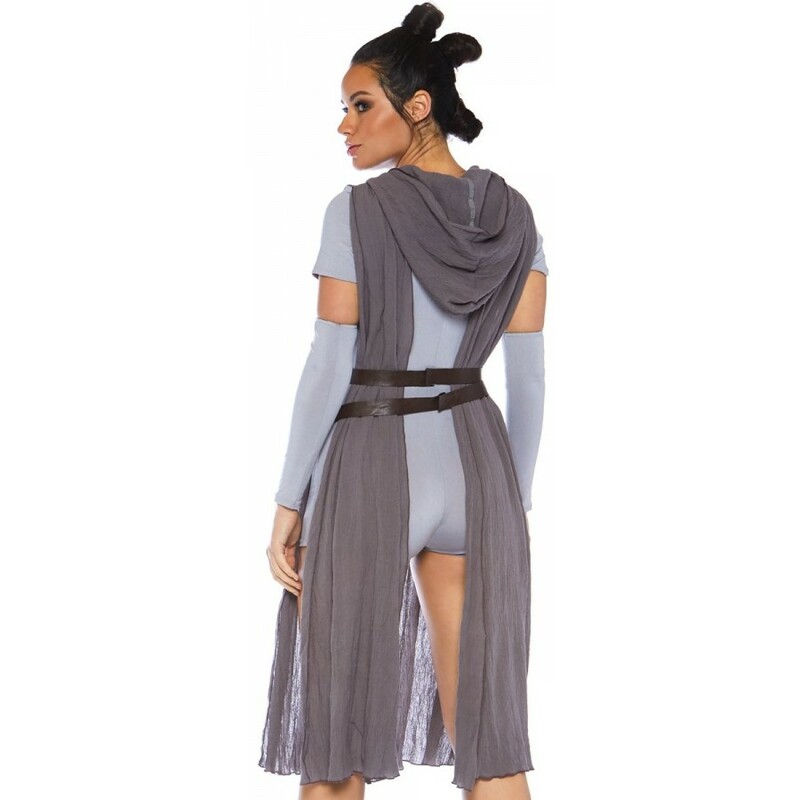 Pair with other rebels for a cool group costume or go solo, like the boss you are! 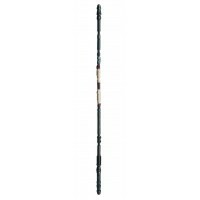 Item Number: LA-c86728 | Approximate Size (Inches): 8.00 wide x 2.00 deep x 10.00 high | Approximate Shipping Weight: 1.50 lbs. 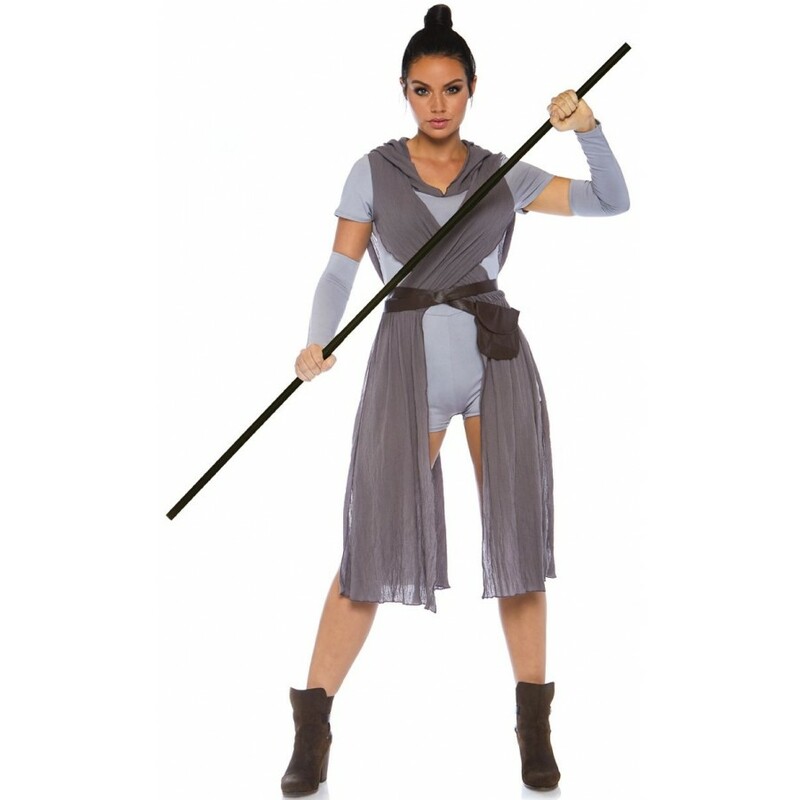 Comes apart in 3 pieces for easy storage and transport, this replica of Rey's staff is 4 f..